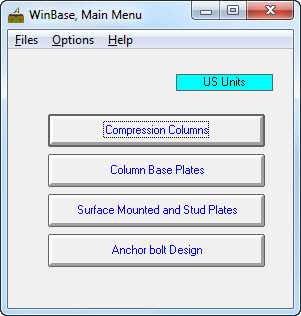 (Metric and US units) This program will check your column base plates and surface mounted plates. 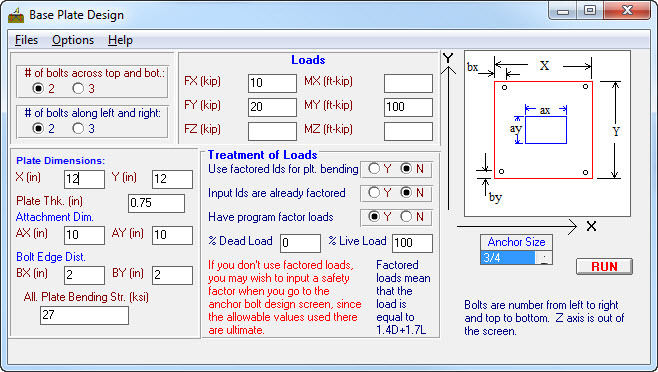 It also does a full check on your embedded studs or anchor bolts. 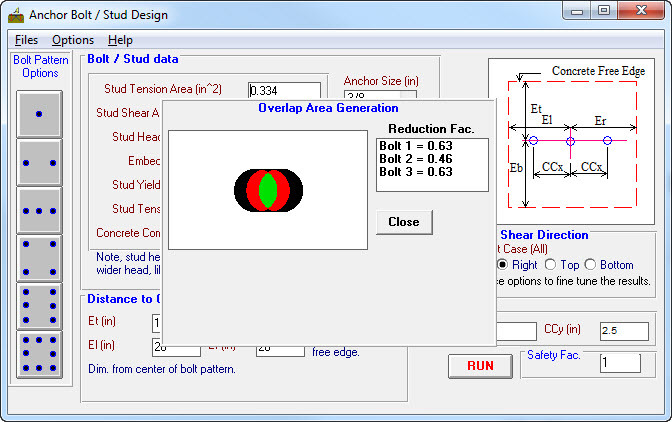 You can now adjust all the design factors that the program uses, so you can have it work to your specific code requirements.